Another investor, also American, is 37 years old and works for a leading global investment banking, securities and investment management firm. He’s been living in Japan for eleven years. He’s an IT guy, not a trader. This investor has bought three properties, one for 200 million (US$2 million) and two others for 100 million (US$1 million) apiece, again through Suruga Bank. Apparently he heard about buying property from a colleague doing those deals. 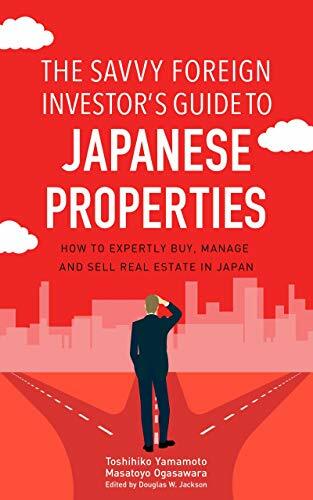 When he started investing, he didn’t have permanent residency in Japan, although he did obtain it later. Without permanent residency, only Suruga Bank will deal with you; now he can deal with other Japanese banks. Some of the megabanks like Mizuho or Mitsui may lend you money if you have permanent residency in Japan. What he’s considering is establishing an entity to manage his properties, which would also save on taxes. This entity can hire him as an employee, and pay him a salary. The costs this entity incurs will also reduce his tax. This is a completely legal strategy. He can hire someone else to help run it, including his wife. She doesn’t need to take an active role, but she can still earn money. At the moment he owns the three properties under his own name. He may sell out, exit those three properties, and buy other properties under the new entity. The other financial benefit he would get from starting this management company is a bigger credit line. Even if he is the sole owner of this entity, banks see it as an independent legal entity. He may even be able to double his credit line. He can then buy twice as much as he could as an individual. As in the first case, he was asking questions only about cash flow, and he didn’t see any of the three properties before he bought them, only the spreadsheets.